It is not very often that we throw around the words “game changer.” There have been a great deal of impressive developments here at XDA over the years. However, game changers are indeed a rarity. There have been a couple of recent breakthroughs on the Samsung Galaxy S III, Samsung Galaxy Camera, and other Samsung Exynos-based devices. What’s this mean? We can now work INSIDE the Samsung TrustZone on production devices! This means some serious debugging of bootloaders is possible. What does this REALLY mean? It means that not only do we have a way to get away from Samsung closed source bootloaders, but we can now boot TOTALLY from SDCard on the Galaxy Camera and the Galaxy S3…. What’s that mean? 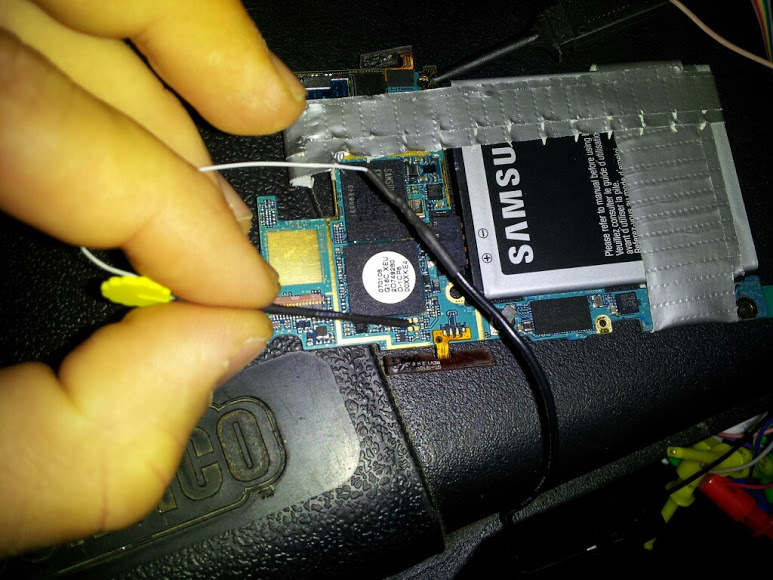 We can fix brick-bugged Galaxy S3 devices! 2. UART hookups for debugging and working in fastboot mode. 3. attempting to rework GS3 Ramdisk for SDCard boot. 4. recreating the proper partition structure on a 16 gig. This is huge news. Users of devices with Exynos processors now have a second option besides booting from the usual EMMC. The mod is far from complete, but with this mod in place, it is literally impossible to permanently brick at least the Galaxy S III and Galaxy Camera. There is no doubt that more devices will follow in time. Instead of recovering the EMMC chip and booting from that again, one must perform a simple hardware mod and boot straight from a SD card. If you happen to brick again, just replace the SD card. In addition, being able to use an open source bootloader means that users no longer have to worry about flashing a locked bootloader to save their device. To make things even better, Adam says other things are possible as well. These include booting alternate operating systems, but really, the possibilities are endless. Adam also touches briefly on this mod in his latest video, Best Hacks of 2012. There is likely going to be a lot more about this development as it develops, so keep your eyes peeled. To keep tabs on this development in progress, check out the original thread.